Hall & Oates have been described as the most successful musical duo of the rock era, and if you think for a minute about who that puts them ahead of, that’s quite an impressive accomplishment. Daryl Hall and John Oates first started making music together in the early 1970’s, and that decade saw hits for them including “Sara Smile” and “Rich Girl”. But things really took off for the duo in the 1980’s, with songs like “Kiss on My List”, “You Make My Dreams”, “Private Eyes”, “I Can’t Go for That (No Can Do)”, “Maneater”, “One on One”, and “Out of Touch” tearing up the charts. In recognition of their artistic and commercial success, Hall & Oates were inducted into the Rock and Roll Hall of Fame earlier this year. Jeff Moehlis: Congratulations on being inducted into the Rock and Roll Hall of Fame. How does that feel to you, to be part of that? 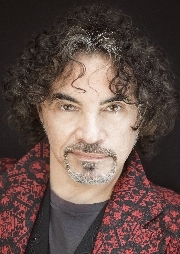 John Oates: Well, in a way it kind of feels like a lifetime achievement award. You know, we were eligible for that from 1997, and we were overlooked every year. So I never really lost much sleep over it. It was not really something I was that concerned with, although I was very happy when it happened. So, now that it happened, it’s very cool and we’re all good. JM: Going way back, when you and Daryl first started writing and performing music together, was there an instant spark or did that take a while to develop? JO: It actually took a while to develop. We actually hung out as friends and roommates. We were playing in different bands, doing different studio work. Eventually it evolved into us… really it evolved out of frustration with other situations. He wasn’t happy with what he was doing, I wasn’t happy with what I was doing. We just kind of said, “You know what, let’s just play our songs together. We’ll just play our songs together and see where it takes us.” And that’s really how it started. JM: Of course I want to ask you about the ’80’s, but first, I just learned that you guys opened for David Bowie during his Ziggy Stardust tour of the U.S. What was that like? JO: I only think we did one or two shows, at the very beginning. 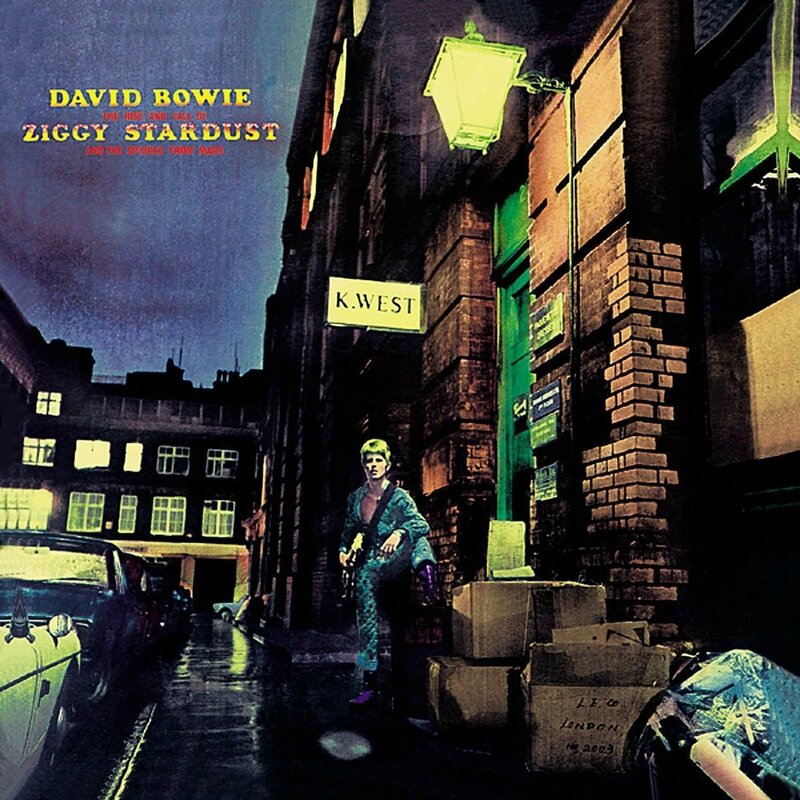 I think we did his first show in Memphis – if you look back, I think it was the first show he ever did in the U.S. on the Ziggy Stardust tour. [JM: Actually Memphis was the second show – the first was in Cleveland.] We were doing our Abandoned Luncheonette album, so we were kind of folk rock, R&B with our acoustic instruments, and we were very low-key and kind of groovy. It was eye opening for me to see what he was doing, and how over-the-top it was, and how outrageous it was, and I thought that was really cool. JM: Did that make you and Daryl think that you should do the over-the-top thing, too? JO: We never thought that we would do the over-the-top thing, but what we think is that our live show should be more dynamic and more powerful. And that is something that we picked up on right away. JM: On to the 80’s – to you, what was the good, the bad, and the ugly about that era? JO: To be honest, the 80’s were not my favorite time. I liked the ’70’s much more. I was more free, I was more inconspicuous. We weren’t as popular, so we could really have a lot more fun. We were so popular in the ’80’s that it was really just a blur. We just worked, worked, worked. We had a lot of fun, don’t get me wrong, but it was really so intense that there was no time to step back and enjoy the experience. The thing that people don’t understand about success is that the biggest enemy when you’re successful is time. Time just disappears, because there’s so much demand on what you do and for you to do things, and there’s so much pressure by the outside world whether it’s the press, the public, record companies, management, agents, whatever. So all those things add up to making it really much more of an intense experience, and not really as enjoyable as one might think. When we were driving around in a 1968 Pontiac GTO in 1974, and going into a town and staying for a couple of days and playing our show in a small club and hanging out with local people, that was to me way cooler than the ’80’s. 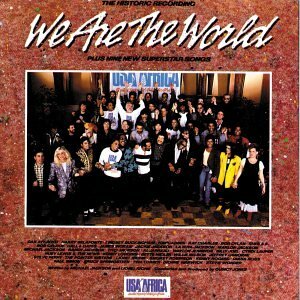 JM: You were involved with at least two of the big cultural events of the ’80’s – Live Aid and the “We Are the World” recording. What are your reflections on those experiences? JO: I think they were the culmination of our ’80’s experience. 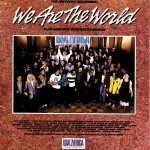 Within a very short period of time we did the first Live Aid, “We Are the World”, and we did Live at the Apollo with Eddie Kendricks and David Ruffin – you know the music of The Temptations was one of the touchstones that brought Daryl and I together, it was like a common musical place for us. To have accomplished all that, and to have this incredible string of Number One records, one after the other, it was almost at the point where we had to step back. We said to ourselves, “This would really be a good time for us to re-evaluate how we’re going to move forward.” Because we didn’t want to be just relics of the ’80’s, relegating ourselves to be a nostalgia band who could only do that. I think that was probably very wise on our part. It probably wasn’t the smartest thing commercially at the time we did it, but we did step back. The net result is that in 2014 we’re still out there, and we’re not a nostalgia band, and people don’t look at us like we’re relics of the ’80’s, and they appreciate our 40 year career for what it is. So that’s how we look at things. So here again, making decisions based on creativity and art as opposed to commerce and commerciality, I think, was a very smart thing for us to do. JM: That leads into my next question. It’s amazing that you guys have stayed together, and seemingly get along with each other, for so long. I don’t think that a lot of music duos have had that longevity. Do you have a secret for how you guys have made it work for so long? JO: Well, we do a number of things. It’s a very complicated answer to that question, though. We’re very different as people in a lot of ways, but yet we have a lot of similarities when it comes to musical sensibility, and that’s what keeps us together. We have this common musical vocabulary, that comes from our youth, from growing up in the same area, listening to the same kind of music, being musical people who express themselves musically. We had this very solid foundation, but then at the same time we have very different ways of dealing with our personal lives, our families are different, we live in different parts of the country. So we kind of don’t get in each other’s way that much, but at the same time we both have the same desires, meaning we both enjoy playing together as Hall & Oates, and we have an amazing band. We get out there and we do it, and people love the show. But we also like to stop, go away, do our own thing, and get the personal satisfaction of doing individual things. We both feel the exact same way about that, so that’s probably why we’re able to do it. JO: Oh sure, I’ve seen it. 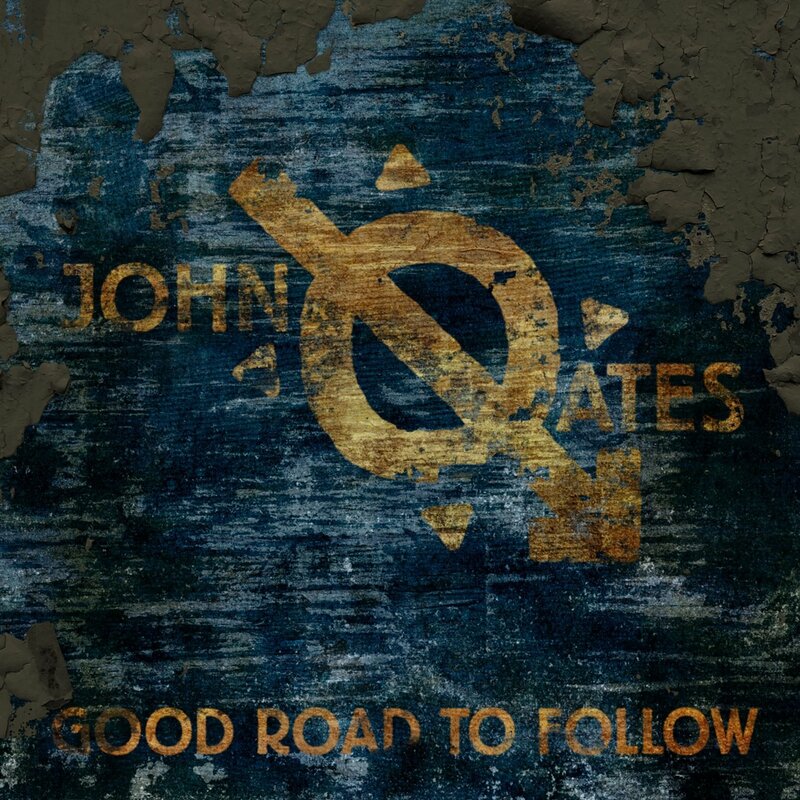 JM: I must say, the John Oates character is my favorite, and my guess is that he’s very different from how you actually are. What do you think about how Hall & Oates are portrayed on that? JO: I don’t even know what “yacht rock” means. You know, I met those guys, I met the yacht rock band. [JM: The Yacht Rock series inspired the formation of cover bands Yacht Rock Revue and Yacht Rock Schooner.] What I liked about them… in a way I think a lot of people think they’re mocking that era, but really they’re paying tribute to that era in kind of a young, ironic, generational way. But as far as I’m concerned, I’ve never been on a yacht, I’ve never owned a yacht, so I don’t even know what that means. I’ve never worn a stupid hat like that. To me, it’s just kind of an ironic take on that music. But I don’t know, the way I look at it, there’s a million famous people out there that people could copy, and they pick you, so I guess it means you’re more popular that someone else. I don’t know what that means. It’s not really important to me. JO: I say, do what has always been since the beginning of time. When it comes to anything artistic or creative, study from the masters, copy the people who you like, try to understand what makes their music appealing to you, and then, eventually, hopefully, an original style will emerge. And play live, turn people on, get people on your side because of passion and for all the right reasons. JM: I enjoyed listening to your new solo album [Good Road to Follow]. Can you tell me a bit about how that came together? JO: It came together because I hadn’t done an original album in quite some time, and I have all these new ideas that I wanted to get out. So what I did was I started doing singles, and releasing singles, because every collaboration I did with various people was so different, that it didn’t seem like they all belonged on the same record. And little by little, fans on social media kept asking where the album was, so eventually I put it together as three EPs. So, really, the album kind of happened after the fact. Right now I’m doing a new DVD based on some of that music and some new material, and that’s going to come out in January on Palladia. It’ll be a DVD that will be for sale as well. I recorded it live, and it’s a whole bunch of cool stuff about my life in Colorado and things like that. JM: Do you have other plans in the works? 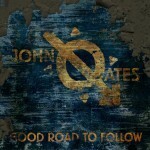 Obviously you’re doing a tour right now, but any plans for another Hall & Oates album? JO: No, not really. I think Daryl and I are very much invested in the stuff that we do separately, but we love playing together and the Hall & Oates show is a really great show with a great band, and people really like it. So we enjoy doing both, and I think the balance is what keeps us together. JM: My last question goes back to the ’80’s. For the song “I Can’t Go For That (No Can Do)”, what can’t Daryl go for? JO: That song’s kind of about the music business. It’s about not being pushed around and forced to do things that you don’t believe in, just because it might be successful. It’s a mantra for kind of how we look at the world. It’s not about making money, it’s not about having a Number One record, it’s not about being on the cover of a magazine or whatever. It’s about being true to what you believe in. That’s what that song’s about.